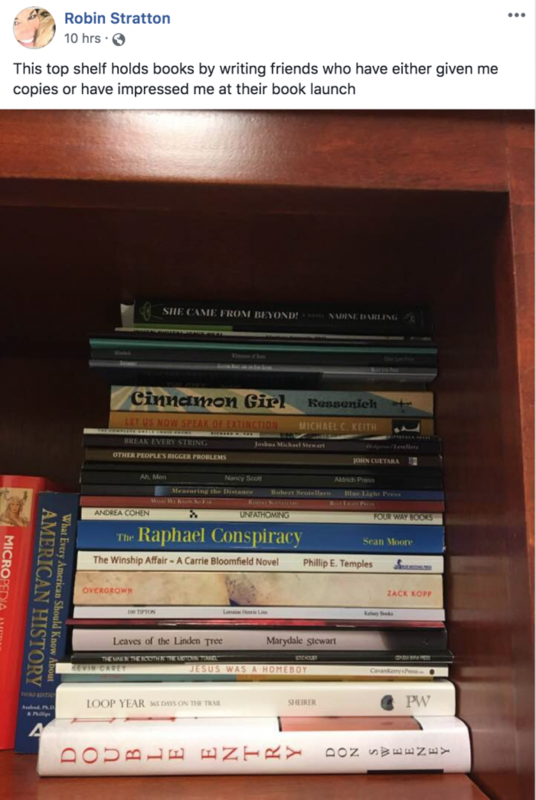 Pleasantly surprised to see Big Table publisher Robin Stratton keeps a copy of my novel, “The Winship Affair” (Blue Mustang Press) on her book shelf. 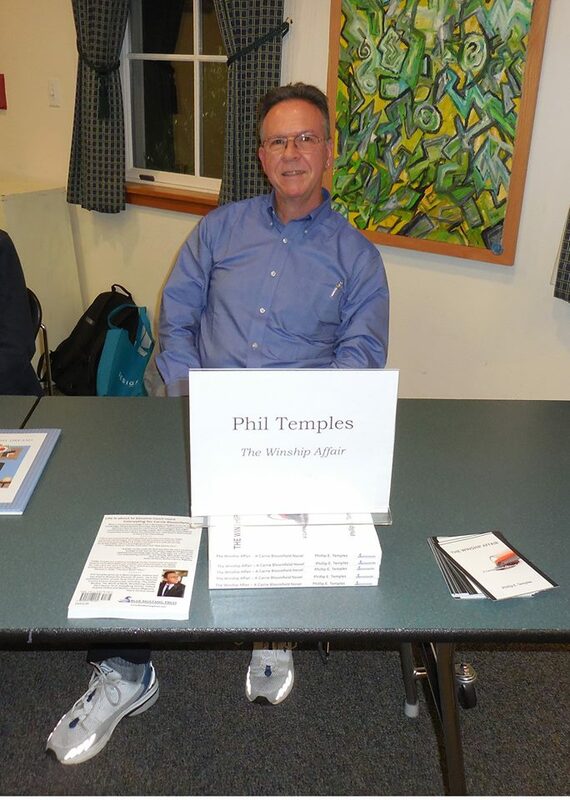 November 19: Local Author’s Night in the Topsfield Town Library. 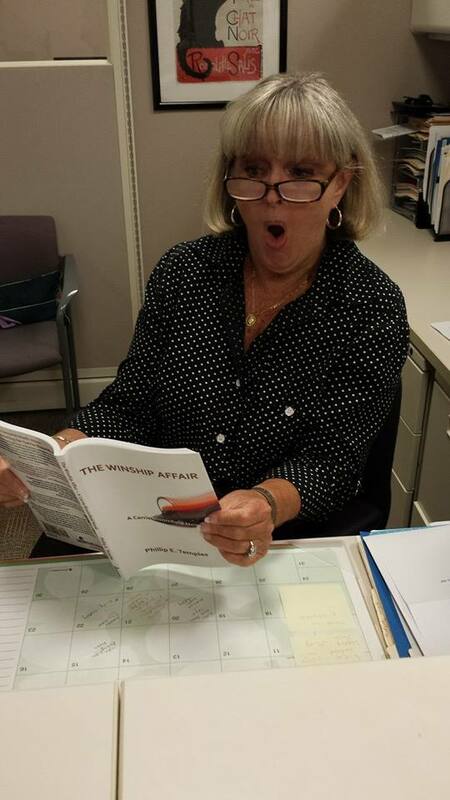 Phil Temples displays copies of The Winship Affair. If you’ve ever dreamed of writing a novel, dream no more. 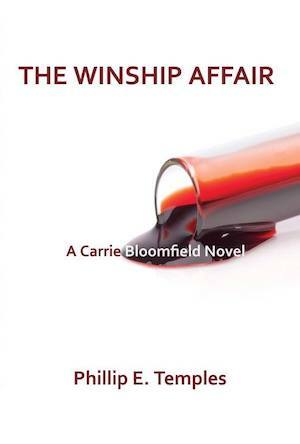 Thanks to NaNoWriMo, I produced a murder-mystery story in 2011 that became “The Winship Affair.” It was published as a novel by Blue Mustang Press three years later. If I can do it, anyone can. 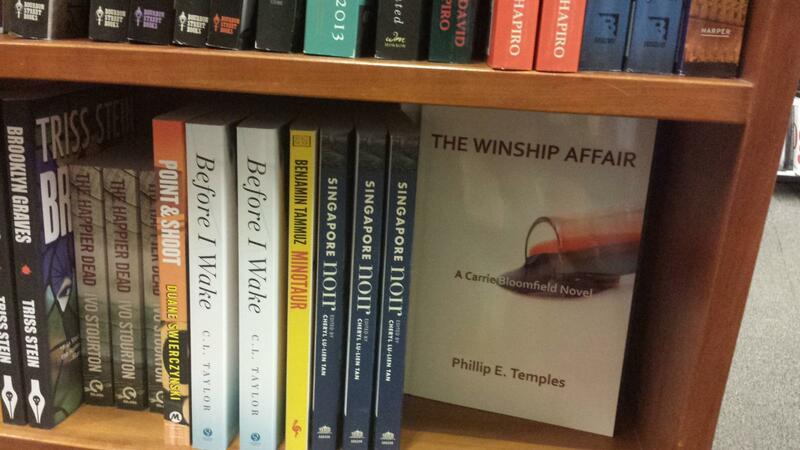 Several copies of The Winship Affair now grace the book shelves of Porter Square Books in Cambridge, Massachusetts. 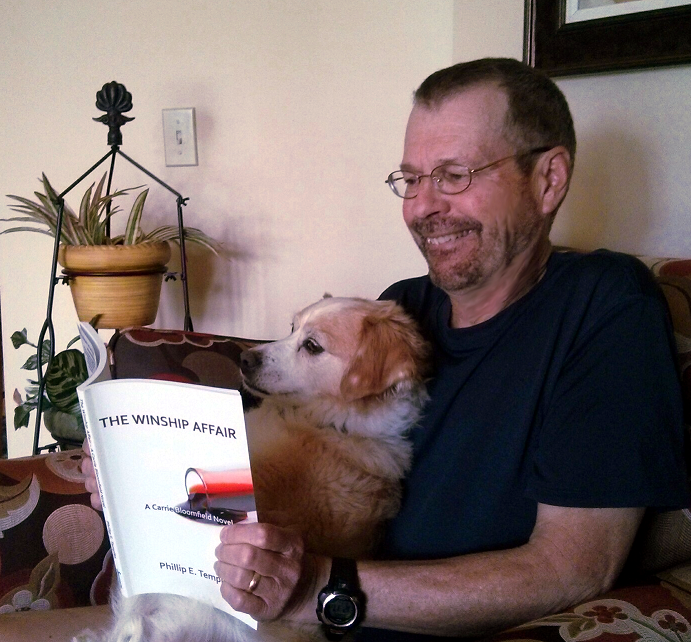 Even canines enjoy reading The Winship Affair! Shown here: Pat Tice and “Jasper” of Woodbury, Minnesota. 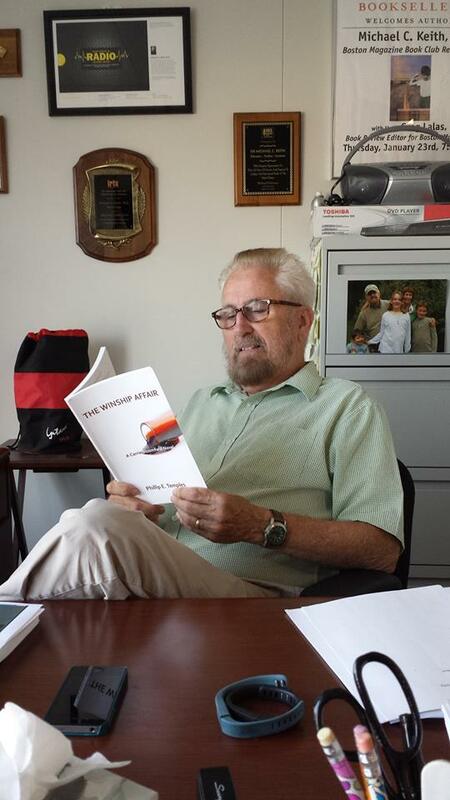 Renowned author Michael C. Keith (“If Things Were Made To Last Forever,” et. al.) 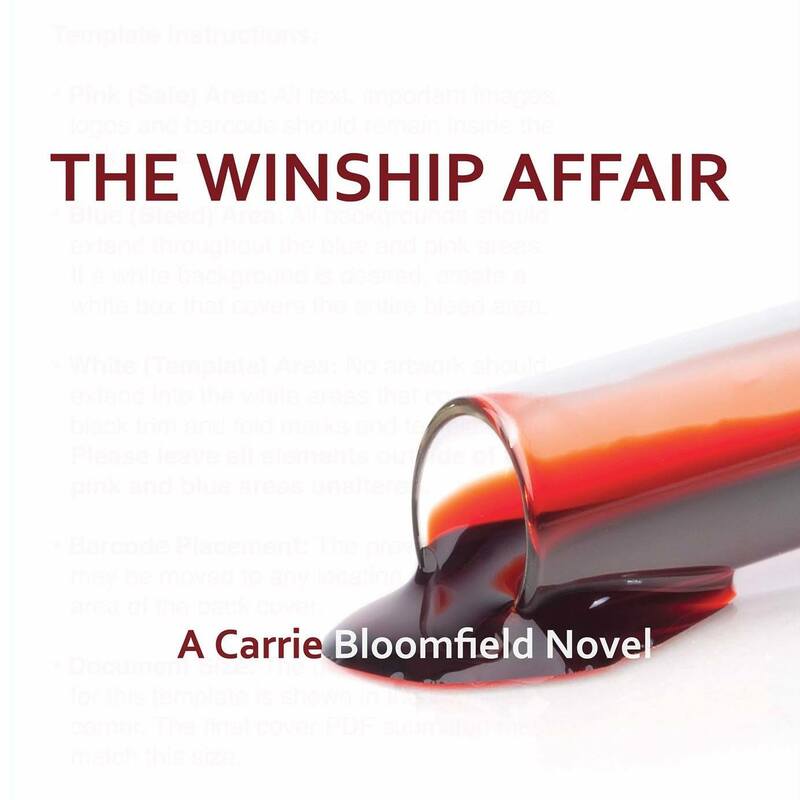 kicks back and enjoys a chapter from The Winship Affair. The Winship Affair ended up as a “book end” on a crowded shelf in the mystery section of Harvard Book Store, 1256 Massachusetts Avenue, Cambridge, MA. (I swear, I didn’t stage it!) Good exposure, if I may say so!